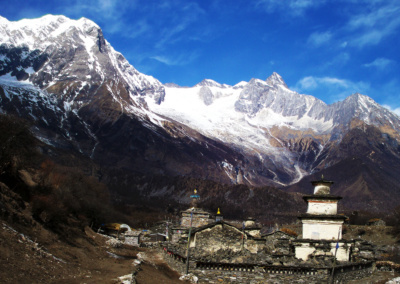 Makalu trek begins from and ends from Tumlingtar airport which is popular trekking destination in Nepal. 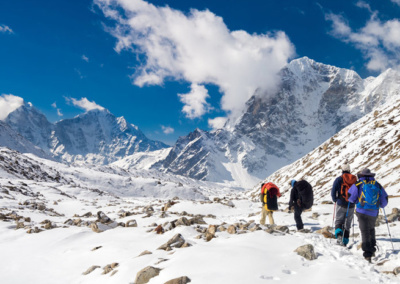 Makalu trekking trails rise from 850 meters (2,788ft) to 5000 meters (16,900ft) above sea level. 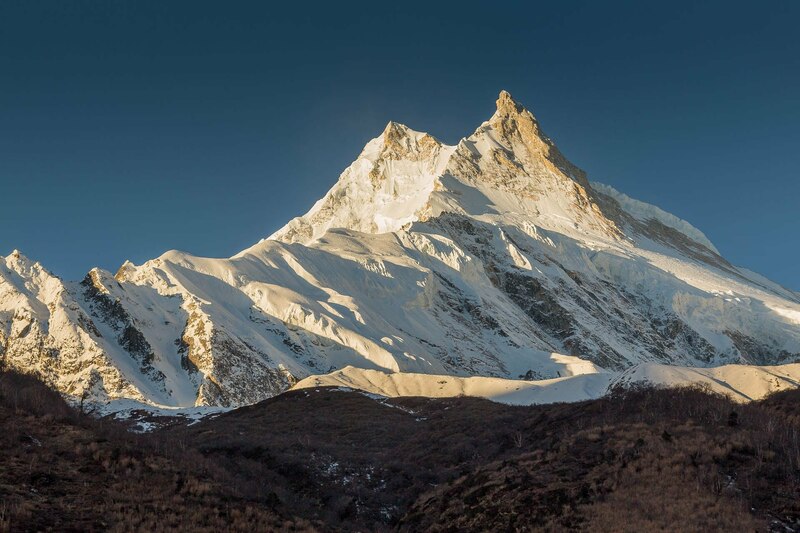 It offers impressing natural scenery and the main focal point of makalu trekking and Makalu Barun National Park.It is lies in the Solukhumbhu and Sankhuwasabha district, established in 1992 and formally inaugurated in 1992. 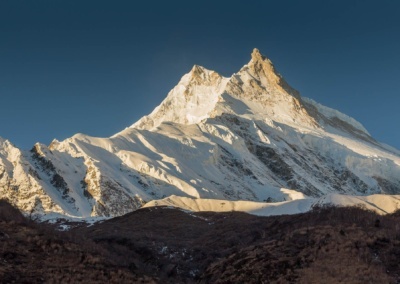 Mount Makalu (8463m), the world’s fifth highest Mountain, Chamlang Himal and Barun Valley are the major jewels of this area. Having a wide range of attitudinal and climatic variations, the Makalu Barun trekking offers a remarkable and diverse habitat for a rich variety of flora and fauna. Plants of all major ecological zones: tropical, sub-tropical, temperate, alpine and sub-alpine are found here and Makalu Barun National park is the home to a rich variety of wildlife. It is rich for natural paradise include beautiful mountains: The skyline is panorama of rugged Himalayan peaks, including Mt. Makalu (8,463m) fifth highest mountain in the world and fourth highest in Nepal. Mt. Chamlang (7,319m), Mt. Baruntse (7,129m). Mera Peak (6,654m) and Nepal known as peak hill. Recognized for its tremendous diversity of plants, animals and people, the area contains 25 species of rhododendron, 47 types of orchids, and 56 rare plants. Snow leopard, red panda, musk deer, wild boar, and they are among the wildlife found here. Settlements of Rai, Sherpa, and Shingsawa (Bhotia) are farmers. Though economically poor and isolated, they retain a rich cultural heritage. 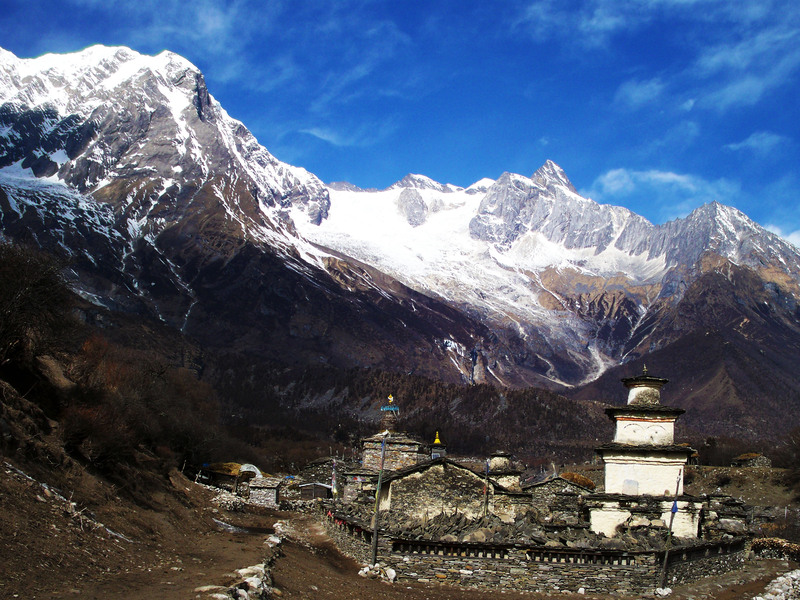 They hold the key to the preservation of the unique biological and cultural treasures of the Makalu Barun area. The sub-tropical valley floor of the mighty Arun River is in places densely forested, contrasting with the terraced slopes higher up, which are farmed by villagers of diverse tribal groups. High pastures typify the upper slopes, which border on the Makalu-Barun National Park, an important conservation area for many threatened species. Regarding the accommodation and meal in this reason, There are rustic lodge on the early stages of this trek but once you enter the national park you must organize camping trek in the designated camp sites at Kongma, Yangle Kharka, Merak, Takmaru, Mumbuk, Nghe Kharka and Shershong. All you will find at these sites is a signpost and water source. Patan City and Swoyambhunath. O/N in Hotel on bb basis.